PHILIPPINE MILITARY: What's with the Philippine Armed Forces? WHAT WE FILIPINOS SHOULD KNOW: We Filipinos are being bombarded by media about rumors of "military coups", "civilian-military juntas," etc. Many of us, the unarmed citizenry, are tired, disgusted, hopeless, even indifferent, and essentially lost and simply want out, out of the homeland if at all affordable. Hereunder is an article that serves as a reality check about the AFP. This article was written by the late Captain Rene Jarque; it reads like it was written for us, to make us know and understand where our military is, where it is going and where it can go. We can refer to Rene Jarque's writings and use them as a basis to understand and evaluate the current waves of pronouncements from military men speaking against the current regime, as to whether these soldiers are truly for fundamental and radical changes in our socioeconomic and political systems, whether they are sincerely nationalistic and with goals for the common good, for the betterment of the impoverished majority. Most of us have belatedly heard about Capt. Rene Jarque, what he has done in his short but honorable life. We the Filipino people, sadly and unfortunately, realize that we have just lost a young soldier who was full of promise for our homeland: Jarque was a rare phenomenon in our so-called "god-forsaken" land. July 25, 2005 - Lately, I have been receiving a number of emails, text messages and phone calls asking about the sentiments in the military in relation to the present political crisis. An interesting question of course is how can the armed forces be influenced to intervene in the clamor for Arroyo to resign? Indeed, three major sectors will be crucial in making GMA step down: church, business and military. Of the three, the military is considered the "tipping point". Once the armed forces intervenes, GMA will fall--so the argument goes. This lesson is not lost on the middle forces and to Arroyo herself who undermined her own boss in 2001 with the defection of the AFP. The pronouncement of the Chief of Staff that the AFP will stay neutral coupled with the relief of officers with "political leanings" show clearly where the AFP leadership stands--for the moment. But does the pronouncement actually reflect the sentiments of the soldiers? How long will it hold? What can be done to influence the soldiers to play a "constructive" role? Given the military's stand, where is all this going to? Allow me to share some thoughts based on discussions with friends and former colleagues in the armed forces. What is the sentiment in the Armed Forces today? From what I gather, the sentiment among officers and soldiers is mixed, ranging from "inis" (irritation) due to red alerts that inhibit their movement to indifference or "walang pakialam" to concern "na sana maayos na ang gulo" (hopefully the problem would be solved). Some are saying the armed forces should not intervene as the issue is political and some, the armed forces should intervene "para matapos ang gulo" (to settle the issue once and for all). It is not a unanimous vote for intervention as some anti-GMA groups would probably like it. However, I believe there are underlying frustrations, particularly in the lower ranks that fuel a "proactive" role for the armed forces - frustrations not just of the corruption in government but in the Armed Forces. We can understand the varying reactions by looking at the personal motivation at different levels--generals, senior and junior officers and enlisted personnel. As a general rule, the higher you go up in rank, the more compromises you have to make, the more you become involved in unethical conduct and corrupted by the system. The generals who are supporting Arroyo, both active and retired, have much to lose if she goes. For one thing, those in the AFP leadership today owe their position to Arroyo. And many, if not all, of the generals and ex-generals have skeletons in their closets. Remember that the generals today, both active and retired, grew up in the martial law period where they wallowed in its unprofessionalism, abuse and corruption. All administrations after EDSA have not dared open up the closets and if a reform minded government takes over, these closets will be opened up and the generals will be subject to accountability - for human rights abuses, criminal acts, corruption, etc. Thus, the status quo and neutrality ("defending the constitution") is in the generals' best interest. With so much to lose, it is unlikely that the generals will intervene. If they do, it will only be if victory is assured and their interests protected as was the case in 2001. What about the senior officers? The senior officers are the majors to colonels, basically those who are already in the battalion and brigade levels if they are in the Army. As they already have invested at least 12 years in the service, they have to protect their careers. They also have growing families and expenses. For some there is little taint of corruption (mostly by inaction or toleration) but there are those who are as rapacious as the corrupt generals especially those assigned in finance or supply jobs or as administrative officers of the generals or DND officials. For similar reasons as the generals, the status quo is in their best interest also. However, there are rare exceptions in this level, those who still possess a progressive attitude. These are the ones who should rise to lead AFP reform but the system does not allow such honest and straightforward officers to be placed in sensitive positions lest they disturb the present dynamics which cover-up and protect the generals, ex-generals and politicians. Honesty is not really a criteria to become Chief of Staff. Like the generals, the senior officers are generally "siguristas" whose inclination to intervene will generally follow the command line. But there are exceptions, those who may rise and lead the disgruntled junior officers and soldiers when the situation is ripe. How about the junior officers? These are the lieutenants and captains, from the new 2nd lieutenant to the senior captains with 7 or more years in the service. Since they are taking the brunt of the battles against the insurgents in the countryside, they are most aware of the inadequacies of the government and the inept leadership in the AFP. Barring some exceptions, this is the most idealistic group in the armed forces. This is where one would find the sentiment to be constructive or to intervene the strongest due to this group's youthful idealism and many of them still unburdened by the responsibilities of family life. However, they are too low in the chain of command to be able to lead a "constructive" group and will be closely watched by military intelligence. They will have to organize clandestinely under a credible leadership which may come from the senior ranks. These are the privates, corporals and sergeants that form the workhorse of the armed forces. The general sentiment is here seems to be mostly indifference and "inis". Our soldiers are essentially "economic soldiers" who are afraid to lose their jobs and not be able to take care of their families or payoff their loans. They are more worried about day to day survival concerns. But if this group can be organized, they are very powerful bloc. They have their own separate "chain of command" headed by the group of sergeant majors. But some of these sergeant majors have already been co-opted into the system by lucrative assignments where they have their own budgets and also by directorships in AFP corporations such as RSBS, AFPSLAI, etc. What are the factors that can sway soldiers to support or hinder the GMA resign move? A major factor is population or people support (which is also one of the key elements for success in warfare). If there would be enough mass support for the call of resignation of GMA or a change in government, then the armed forces is within its constitutional duty to intervene. The only factor that is stopping the soldiers from joining the fray is the chain of command who, as explained earlier, will stick to their best interest which is the status quo. If the junior officers or enlisted personnel decide to break, they must be ready for a bloody confrontation with their comrades who stay with the chain of command. I am sure that GMA is using the many generals around her to control the military. And she has a lot of them in the cabinet. A crucial issue here is the legitimacy of the Arroyo administration. If it can be proven that the GMA administration is illegitimate because of electoral fraud, then the duty of the armed forces becomes clear, even if to forcefully remove the President from Malacañang and even if the generals don't like it. Unfortunately, the Gloria-gate tapes have not proven it clearly and the administration has done a good job in muddling the issue through a combination of lies and disinformation. Malacañang has used every counter-propaganda trick in the manual, from destroying the credibility of the source (a technique known as "indirect refutation"), to silence (they waited three weeks for GMA to answer), to diversion (using other issues such as fuel prices, economic problems, etc) to minimization (GMA has not violated any law). However, as a former Psychological Operations Operator myself, it bothers me that curiously enough they have not used the most effective of all counter-propaganda techniques which is direct refutation or refuting the enemy's propaganda using facts and the truth. Of course, one does not use this technique if the enemy's propaganda is irrefutably correct. Another issue is honor, no matter how corny that sounds. But this appeal will only work for the "honorable" segments of the military, a few senior officers and a number of junior officers and enlisted. The Commander in Chief has violated the Honor Code and the AFP Code of Ethics (Article III, Section 1.1): We believe in honor as our crowning value as it is more precious than life itself. It is the hallmark of military conduct which implies our clear consciousness of personal dignity and worth. We associate it with good reputation and is immortal, sacred part of our character, the violation of which should bring about shame in us and the dignity to impose on ourselves the requisite restitution…To us honor means truthfulness, sincerity, honesty, uprightness, credibility and avoidance of deception .. We shall not lie, cheat, steal, violate moral and ethical codes nor tolerate violations of the same. Indeed, the issue goes beyond legality or the "rule of law". It is a question of truth, fairness and justice and based on the soldiers' code of honor, the conduct of the Commander in Chief to cover up and quibble with a clear intent to deceive is totally unacceptable and should not be tolerated. The Armed Forces should help in uncovering the truth and not in hiding it. The Officer Corps should call on all its members, including and especially those who have retired and in government, to stop lying and to speak the truth. If the President is suspected of committing a crime, in this case rigging the elections and her relatives accused of receiving jueteng (an illegal number game) payoffs, shouldn't the "rule of law" prevail with the PNP and NBI, which are headed by Peemayers (graduates of the Philippine Military Academy), conducting an investigation rather than the NBI director appearing in the Senate to lie in defense of the perpetrator? Shouldn't the police mobilize its informants to provide evidence for the jueteng payoffs rather than deny and cover up and assist the corrupt to go scotfree? So what's with the armed forces? Is it just going to stand there while all hell breaks lose? For all intents and purposes, yes. Given the varying sentiments, the armed forces right now is a confused organization. There is also an air of distrust as military intelligence is keeping a close watch on potential dissent from the ranks. This makes the organization of a "constructive group" within the AFP difficult. If the CSAFP pronouncement is any indication, intervention from the generals is not to be expected. But you never know who among the generals will break ranks given the right incentive by any group that wants to take power, whether it's the opposition, the Aquino-Drilon faction, the Noli de Castro group, COPA and its allies, among others. If left to the generals, the status quo is in their best interest unless there is compelling reason that they withdraw support from the President. All this talk from the AFP leadership about professionalism and defending the Constitution is a bunch of crap. It is a veil on the real issues that concern the generals which is how to stay in power so they can further enrich themselves and/or protect themselves from any accountability for their abuses, crimes and corruption, especially during the martial law period. Perhaps, this is just as well because if the generals intervene, it will be "business as usual" and no real change in government can be expected. Such interventions will just reinforce the power of the generals which they will use to protect themselves and cover their tracks. We can also pretty much eliminate the senior officers who are also protecting their careers and their "savings". If there would be constructive intervention, it would and should come from the junior officers. Unseating Arroyo has become war of attrition, a "siege" as GMA holds on to power no matter what the cost. The battle lines though are not clear as it has presently many fronts with many warring parties and conflicting interests. There is no unity of command among the attacking forces. It's like attacking a fortified castle from many sides but the attacking forces are not coordinated. It will be a simple "divide and conquer" or "confuse and conquer" strategy on the part of the castle's forces. The Queen holds the upperhand with the government, armed forces and police on her side. Like any siege in ancient warfare, the innocent victims and ultimate losers are the people, in the castle and outside, who helplessly suffer the horrors of the war. Besides unity of forces, the other question is sustainability -- who can hold out the longest, can keep the soldiers morale longer, supply the logistics and replenish forces longer. One big factor that might hold out the AFP's intervention is the involvement in the opposition of the leftist organizations, which to the soldier's mind is still the "enemy of the state". The middle forces trying to recruit the progressive elements in the military should find a way to dispel this perception so that the progressive elements in the junior ranks of the Officer Corps can link up with the progressive elements in the left. This will not be too easy. Will they trust one another? Linking up might also be difficult because of intelligence monitoring and the soldiers have to be able to get out of the barracks amidst the blue or red alert status. There is indeed a dilemma. Military intervention can restore order but, as we have learned from 1986 and 2001, if the intervention is by the generals, no real change in politics and society will happen. In fact, it could be worse if a military or military controlled government takes over. The images of martial law come to mind and many of these generals were bred by martial law. If the young officers intervene without the blessing of the chain of command, it will be a bloody confrontation with the "pro-government" forces. I think the best combination for a military intervention, if ever it happens or when it becomes "final solution" or "fait accompli", would be the younger generation of the Officer Corps supported by broad popular support, including the progressive elements of the left. Perhaps then, we can expect real change in government. Rene N. Jarque passed away last month (August 2005). He was a former Philippine Army officer who served as Special Assistant to the Secretary of National Defense for defense policy and strategy. He was Chief of Strategic Research of the Office of Strategic and Special Studies, AFP. In the Philippine Army, he served in various command and staff positions with the First Scout Ranger Regiment, 5th Infantry Division and Psychological Operations Group. He was Infantry, Scout Ranger, Airborne and PSY-OPS qualified and had received numerous awards and decorations for gallantry in combat, including for wounds in battle, and for effective leadership and unit management. He was a lecturer in AFP schools and was editor of the Army Journal, Cavalier, OSS Digest and OSS Research Series. 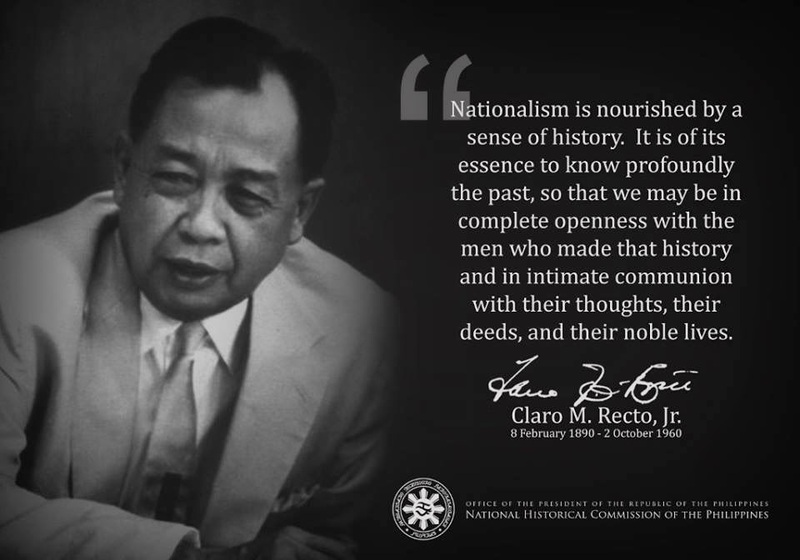 His essays and commentaries have appeared in many publications notably, Politik, Newsbreak, The Philippine Star, Philippine Daily Inquirer, among others. He left the military service in 1998 as a captain and had been working abroad as an executive till his death. He briefly came back to the Philippines in 2003 and was involved with various cause-oriented works advocating AFP reform and good governance. He was a convenor of Actions Against Tyranny and Corruption Now (ACT NOW) and was involved in Initiatives for Peace-Mindanao. He was a graduate of the United States Military Academy, West Point, class of 1986 and has an MBA from the Ateneo Graduate School of Business. I think this intricate web of hierarchy and politics within the military is no longer a secret to the majority of Filipino. Conspiracy with corruption is the name of the game today. The Judiciary, Office of the President, Senate and Congress has all the same pattern - HIERARCHAL CORRUPTION. They are all dragging themselves to future destruction. But what is very ironic with the majority of our people today is that they seem to no longer care of what is happening. Unlike the first EDSA revolution the cry was "TAMA NA, SOBRA NA, PALITAN NA". People have become numb, careless and passive to what is happening. I think their shattered hope in the first and second EDSA contributed a lot. The hope of our nation is within the hands of the living God and within those He will appoint to lead the country. You are right in your observation regarding people's acquired apathy. The EDSA1&2 events were essentially driven by the middle class and the Church, with the AFP following. They showed that the AFP follows "the people". This time, the middle class has significantly dwindled, either left the homeland or slid to become part of the ever-expanding impoverished, who are forced mainly to attend to day-to-day familial responsibilities for economic and decent survival; and less or no time for national concerns. Thus, the task of those seriously concerned and able to make up for this simple fact. The majority of the populace are in poverty --with its downside of functional illiteracy -- for so long and consequently unable to comprehend the totality of what is going on. Therefore, most of the citizenry are lost and bewildered. In our present predicament, ignorance is not bliss; instead it is disastrous. Military intervention is out of the question at the moment. During the Aquino Administration, the military was on the verge of abandoning Pres. Aquino. Had the coup plotters assaulted Malacanang, the military would have not rose to defend their commander-in-chief. This was because she was accusing the military of murdering her husband. This is the reason why Pres. Aquino called up Pres. Bush to ask American troops to defend the government since the AFP was not willing to do it. The AFP was going to let Aquino face the coup plotters all alone, even though she is their commander in chief. This is exactly what happens when the military overthrows a civilian government. During the coup against Pres. Salvador Allende, the Chilean armed forces simply abandoned their commander in chief and let Gen. Augusto Pinochet assault the presidential palace. Allende was left with his loyalist in the armed forces to defend himself against the rebels lead by Gen. Augusto Pinochet. However, Allende was only a good politician, not a good general. Through superior military tactics, Pinochet was able to quickly overwhelm the loyalist forces of Allende. Allende fought with his men and was killed during the coup. The coup was over in only 3 weeks with heavy casualities on both sides. During the American assault on Panama, the armed forces of Panama simply abandoned their commander in chief. They refused to fight against an obvious foreign aggression since the Americans said that they were intervening in Panama to rid the Panamanians of a hated ruler. Noriega was defended only by his loyalist in the armed forces. Noriega's loyalist were simply no matched against the better armed and led American troops. In 2 weeks of fighting, Noriega sought asylum in the Vatican embassy. The important thing in any coup is the unpopularity of the incumbent. During Aquino's time, the military was dismayed that she was accusing them of killing her husband, the late Sen. Benigno Aquino. That is why during the successive coups against her, the military refused to rise up to defend their commander in chief. The politicians of the People's Power government learned this lesson of not accusing the military of anything that will blacken their honor. That is why they dismissed the accusations that the military received bribes during their assault on the Abu Sayyaff in Basilan. During the American's assault on Panama to arrest the Panamanian strongman and have him face trial in the US for drug trafficking, the armed forces of Panama simply refused to defend their country against an obvious foreign aggression. Noriega was very unpopular among his people and the soldiers and officers of the armed forces of Panama were not willing to lose their lives protecting an unpopular despot. It was Noriega's unpopularity with his people that finally persuaded the armed forces of Panama not to defend their commander-in-chief against an unlawful arrest by a foreign power. During Marcos' long 20 year rule, the AFP never staged a coup against their commander-in-chief. In fact, the AFP never staged any coup against all of Marcos' predecessors. It was only during the People's Power government that coups became popular. The People's Power government learned the lesson that their calling on the AFP to side with them with their dispute against former Pres. Marcos was a mistake. It made the military a judge in any dispute between politicians among themselves. That is why former Pres. Aquino said that Arroyo should not be forced down from office. They learned their lessons well. No matter what you say or accuse of the government, Gloria Arroyo is still the president of the Philippines. Whatever the military is doing, they are still the military who should be loyal to their country and government. Leaders of the country should work with the president for the better resolution of the country. Work with the government. Help the government stop corruption. The president is inviting the opposition to work with her and did they try????? NO!!! Dignify your job and intentions in helping clean the corruptibles. If Arroyo steps down, who is in line to control the government. Will this person be able to change the life style of the people? Will this person be able to clean the dirty doings in the government? Will this person be better than Gloria? Are you sure this person will be able to know how to lead the country or will this person be dictated by the more corruptibles in the country? I’m afraid, it will be worse than what we are seeing now. Remember, since Marcos time, no president who sat in the position has alleviated the country. All of them are corrupts and “buwaya”. Why don’t you just move and do what you can do for the country instead of pushing on the government. How??? Do something good. Organize and lead a movement that would help the poor people. That’s what people across the country are doing. Thanks for your interesting inputs. As you have mentioned, it seems that there is no real threat of a military coup. I agree with you, but based mainly on the analytical breakdown/explanation made by the late Capt. Jarque. Let's just hope that if it happens it will really be a productive one, i.e. for the betterment of the impoverished majority with minimal violence. And when a significant number, if not majority, understands what's going on. All these seem easy to say or talk about; a bloody upheaval is not a picnic. Thus the need for the people to know the "why" for such an event; else it might just be an occasion for getting even and random killing. Just wanted to add that it is the primary duty of government to provide for the common good --in our case --help the impoverished majority; that's how I conceive as the raison d'etre of any government. So far, all regimes including GMA's have failed to do so. Actually the Fipino socioeconomic predicament has worsened in each successive regime. It's not the duty of private individuals or groups, though of course these latter can help. Many thanks for your e-mails. You're welcomed! If you like and find them, worthwhile, kindly pass on so others can be informed. Thanks!